A number of wards have been reorganised at Beaumont Hospital, but there is “no reduction in the number of patient beds”, the Dublin hospital has said. While 140 beds spread across four surgical wards had historically been intended for surgical patients, in reality up to 35 of these beds “are consistently occupied by medical patients, many of whom are frail and elderly”, the HSE said. In line with national programmes for treating frail and elderly patients and for surgical procedures, a decision has been made to reorganise a number of wards at Beaumont Hospital to provide a more comfortable experience for all patients. One of these four wards has now been allocated for frail elderly patients who required medical attention only, while the remaining three wards have been ring-fenced for surgical patients only. This reorganisation will provide a more comfortable setting for elderly patients, while also providing greater certainty on bed availability for surgical procedures and contributing to an improvement in waiting lists, the HSE said in response to Dáil questioning by Independent Deputy Finian McGrath. The key priority of Beaumont Hospital was to utilise the capacity and resources available to provide the best possible treatment to all patients, both medical and surgical, the Executive said. 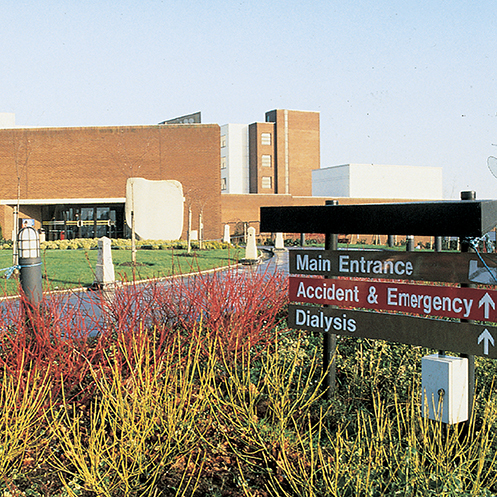 Beaumont has begun to benefit from the allocation by the HSE of additional resources to tackle the issue of delayed discharges and the hospital awaits the provision by the HSE of additional intermediate care beds in Fairview and Cuan Ros, Navan Road, along with long-term care beds in Mount Carmel, which it is hoped will assist in the number of delayed discharges. Beaumont has a number of nursing vacancies, including a number of posts in the Emergency Department (ED), some due to increased allocation of nursing jobs to the Department. An extensive national and international recruitment campaign is under way. Three ED experienced nurses were due to join the Department recently. Beaumont is also conducting a feasibility study in relation to the redevelopment and potential relocation of its ED. The hospital has invited tenders for design consultancy services to conduct this study. The Drug Treatment Centre Board annual report 2002. The Drug Treatment Centre Board annual report 2004. The Drug Treatment Centre Board annual report 2006. The Drug Treatment Centre Board annual report 2007.